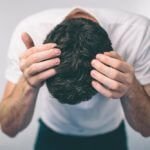 One of the up-and-coming hair products for men everywhere is hair clay like those made by Percy Nobleman or Krieger + Söhne. In fact, some of the best hair clays on the market do actually contain clay within the ingredient list (called bentonite). 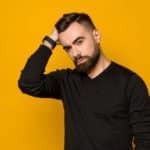 The reason that men are starting to gravitate towards this product is that it produces an all-natural look that will give your hair great shape and texture without actually looking like there is any product to begin with. 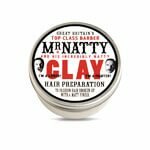 Unlike the high shines of pomades or perhaps the potential for flakiness in a classic styling wax – the top hair clays like Mr. Natty’s will be able to strike a balance that rests somewhere between both of these product categories. Another added benefit to hair clay is that if your hair follicle tends to be a bit on the thinner side, clay should be able to add substantial volume to your hair giving more of a fuller look. 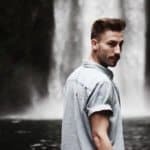 One aspect that men additionally love about this product is that it can perform a really great hold if you apply it to your hair and then use a hair dryer to retain the hold. 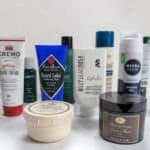 When it comes to application of hair products, hair clay is very much like any other product. To start you want to simply scoop out about a thumbnail sized amount and then rub it in the palm of your hand. You will want to make sure that the product has been fully melted before you apply it to your hair. Applying a product to your hair before it has been liquified may cause some unsightly clumping in your hair. Being that hair clay contains bentonite, its will naturally evoke an earthy fragrance – that is unless the manufacturer added any additional scents into the manufacturing process. 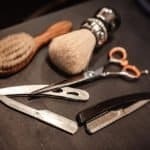 While clay traditionally doesn’t contain petroleum like a pomade will make post-application clean up incredibly easy so you can get on your way with your day. To make comparison a bit easier, we put together this chart that will easily outline all of the leading hair clays for easy selection. Note: Depending on your screen resolution you may be able to move the chart left and right for additional results. 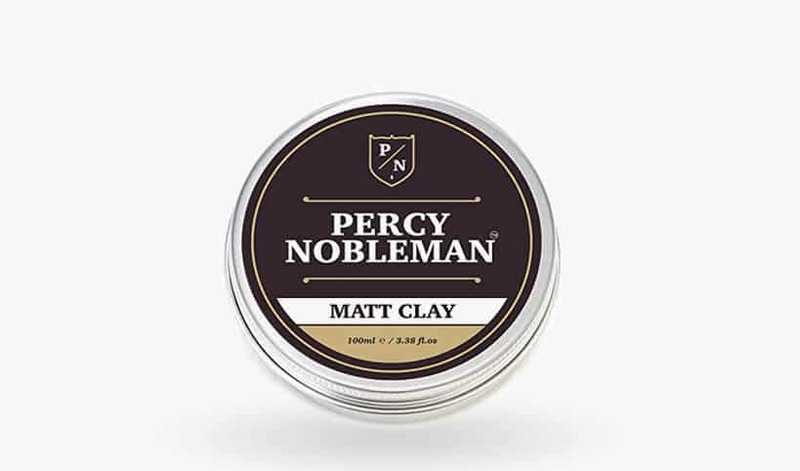 Matt Clay by Percy Nobleman is one of the best hair clays for men with shorter or choppy hair styles. This paraben-free hair clay has a dry, low sheen that will bring a nice shape and hold to your natural hair. The formula will keep your shape and style all day, but will still wash out easy when the day is out. Don’t want a dry look? No problem, apply Matt Clay to damp hair for that oil-based slicked back look. 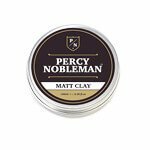 Also, Percy Nobleman backs their Matt Clay with a satisfaction guarantee so you can go ahead and buy with confidence. Lamel Fine Grooming Clay is the ideal clay when looking for a strong hold and no shine. 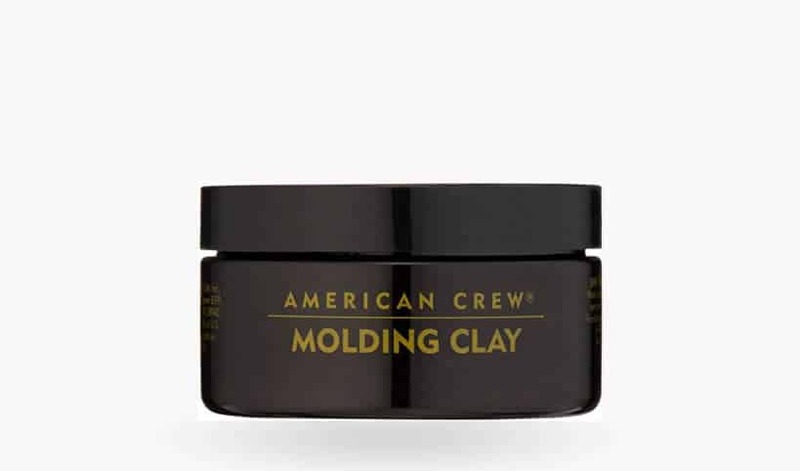 The versatile, unisex clay will work with ease on even the thickest hair creating a neat style with great strength. 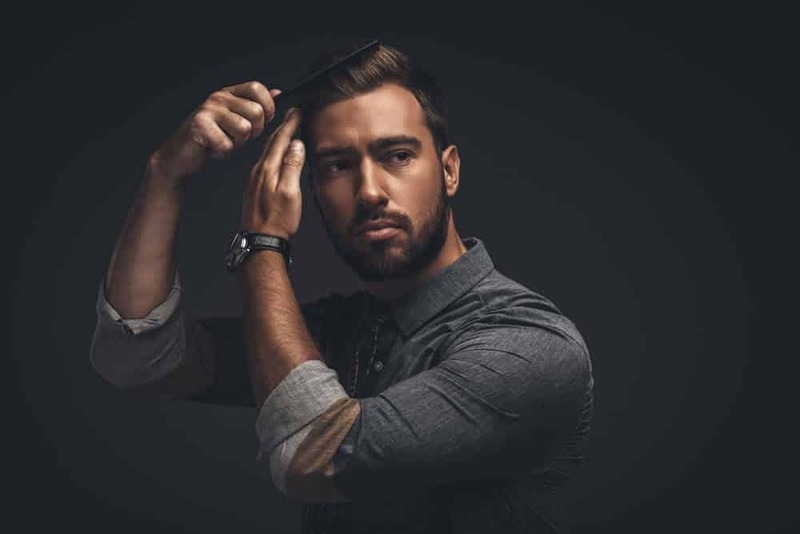 The beauty of Lamel is its ease of application and pliability without the sticky, heavy weight of a hair gel. The high quality, soft-scented clay comes in a 2.7oz bottle making it great for travel as well. All of these great benefits and the backing of a 100% satisfaction guarantee make Lamel one of the best hair clays on the market. 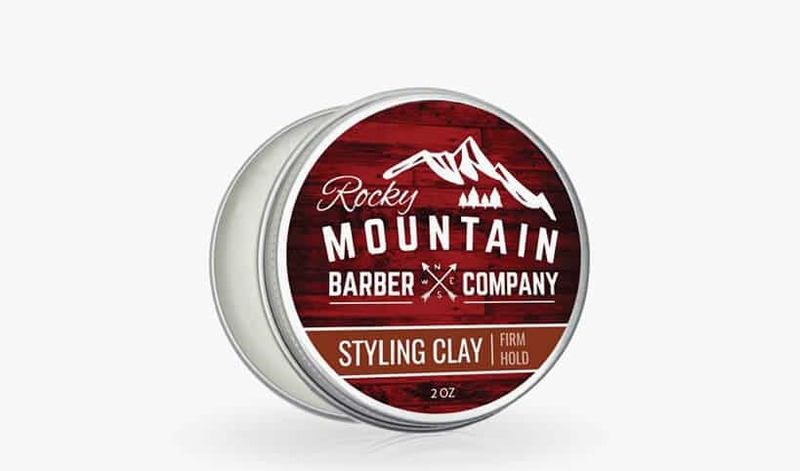 Rocky Mountain Clay is one of the top clays for a lighter, yet firm hold and barber grade performance in styling. This clay is made from natural plant-based products, with lanolin and beeswax for texture and consistency. Unlike gels, Rocky Mountain Clay will give a firm, shine-free hold to protect your style while avoiding clumps, flaking and heaviness. 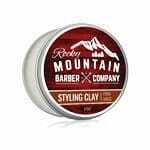 Rocky Mountain Clay has a light, natural scent and the hold will last all day without failing you. Additionally, the 2oz jar travels well and the price is very fair for such a quality natural product. 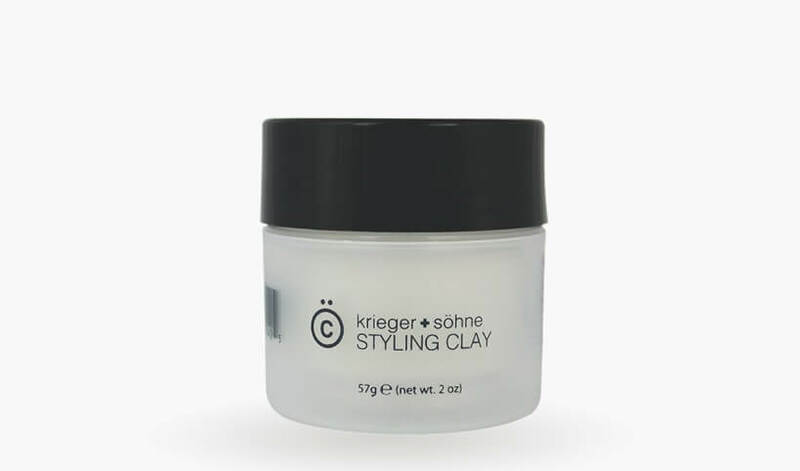 Krieger + Sohne’s Styling Clay is a thick blend of rich hair clay that boasts to be “warrior grade” for its lasting holds and sleek styling. The product is infused with beeswax creating a non-greasy clay that goes in easy, mold and holds, and won’t leave you with embarrassing flakes. You won’t need heaps of this clay as the nutrient rich formula can create solid holds with little product and won’t be too heavy either. Krieger + Sohne comes as one of the best reviewed clays out there and, as such, they back their trusted product with a 100% satisfaction guarantee. 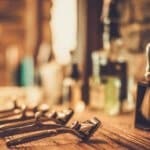 We all know the American Crew name by now because their popular products are found in many barbershops and department stores. 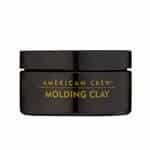 Just like their other products, their molding clay is one of the best on the market. The formula is made from beeswax and is intended for a quality, strong hold on normal hair types. The scent is a manly blend of oils like orange, lime, peppermint and spearmint that give a cool, clean scent with a citrus touch. The 3.0oz bottle is fairly hearty for a clay and the price is quite fair for such a popular, highly rated product. 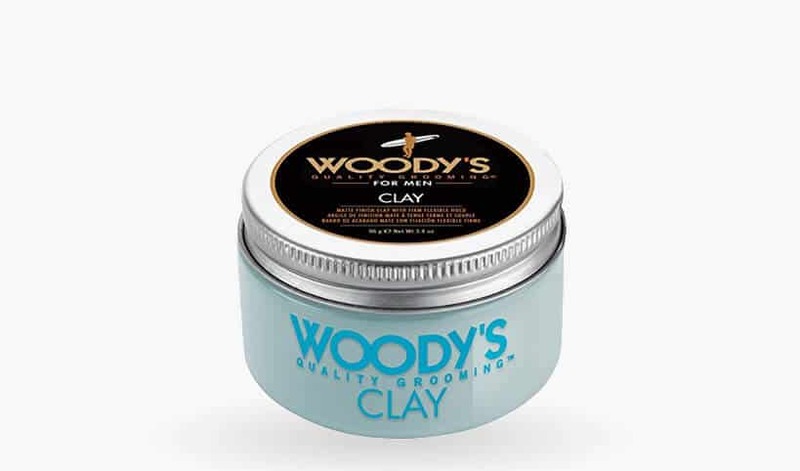 Woody’s Matte Finish Clay is one of the best clays for men with normal hair type because it gives a very strong hold and is made from great natural products like Hemp Seed Oil and Beeswax. Men with fine hair should be cautious with this one because it tends to be somewhat oily on lighter, fine styles (it is suggested to use a very small amount and work it into the palms if you are going to use this clay on fine hair). 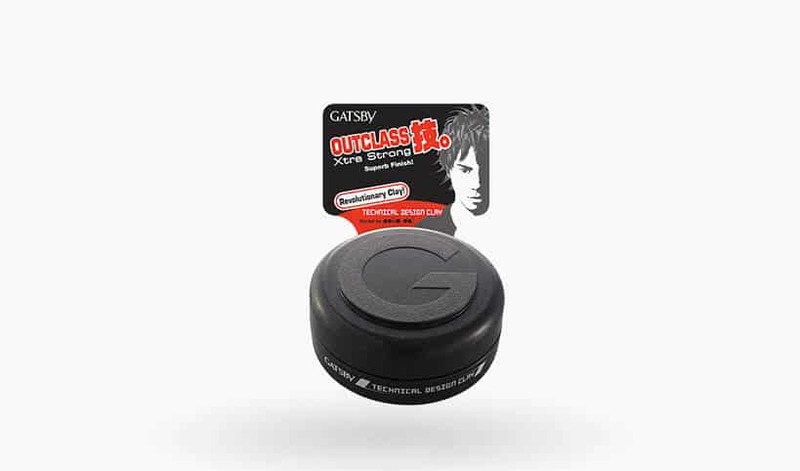 Outside of that, it creates a fantastic hold without giving you helmet head or leaving the hair feeling crunchy. The 3.4oz bottle is big and priced modestly for such a large jar. 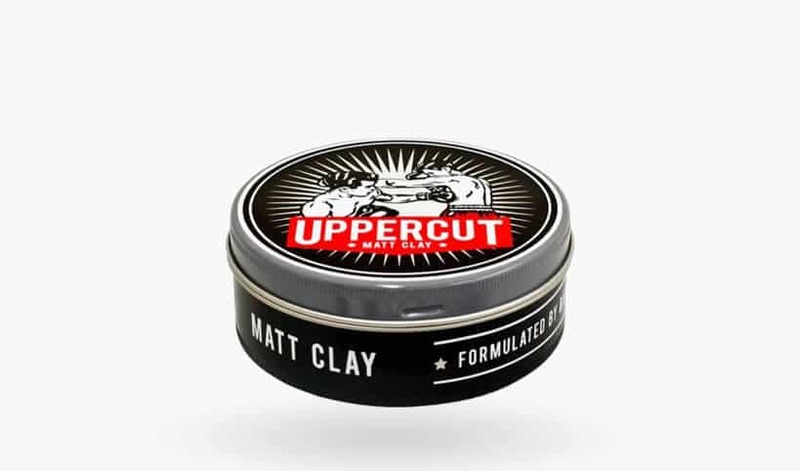 Uppercut’s Matt Clay is a favorite for its versatility and ability to deliver a strong hold to the most active men. 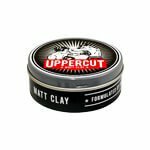 Uppercut is a safe play for men of any hair type as it will apply a medium to strong hold and great shape to hair styles from fine to thick. 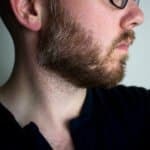 Additionally, Uppercut’s Matt Clay won’t alter the color of grey hair like some products. The hold is based in petroleum so it works in easy, keeps a dry matte look and can withstand a dousing of sweat from your evening jog. The 2.5oz jar is travel friendly and one of the best reviewed clays out there. 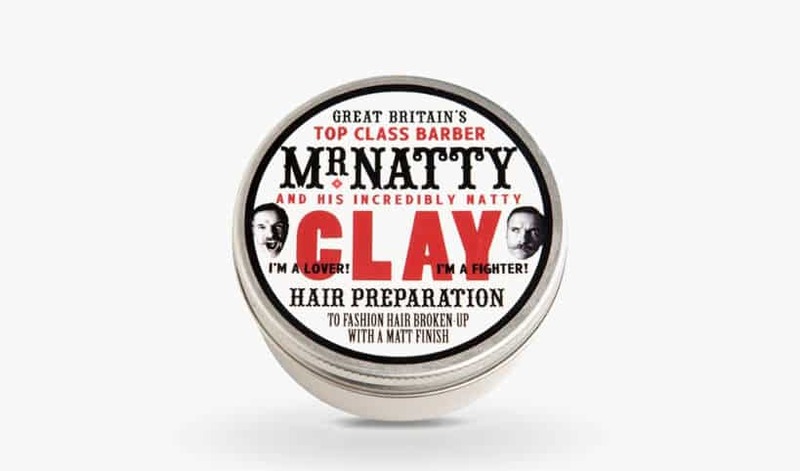 Mr. Natty is a UK made, luxury clay that has reviews glowing just like your hair will be. The matte finish is ideal for even thicker hair types and it shouldn’t flake. The formula is a bit heavier than most and so it gets in your hair for awesome shaping, polished off with a really pleasant scent. Because of the rich texture the hold is not only strong, but very long lasting. 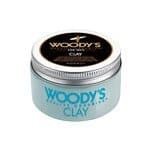 While the price of this clay is a little higher (it is a larger jar at 3.38oz so it’ll last a while), you pay for quality as this is one of the highest rated, best clays available. 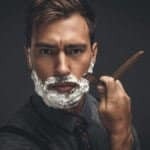 Mandom Gatsby’s Technical Design Clay is the ideal clay for the active man as it keeps serious form even under duress. 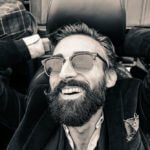 The Mandom Gatsby product is aptly named “technical design clay” because you can shape and mold wild, intricate styles as is truly remarkable in its hold and it does so without giving helmet head or overheavy shine. That being said, it can be a bit difficult to get out so it is namely recommended for the man on the move. The non-oily formula comes in a sleek, compact case for easy transport and at a very reasonable price point. 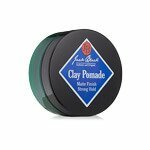 Jack Black is back with a clay pomade that is packed with ingredients for healthy hair and a super clean hold. This clay gives a light to medium hold that carries a really fresh scent because it is developed with a cornucopia of essential oils and is alcohol-free. 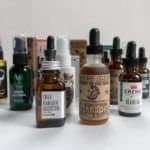 Besides a fresh scent, the essential oils have great benefits to your scalp; Tea Tree reduces itch and dryness, Sage Leaf fights bacteria, and Lavender Oil softens brittle ends for a great styling finish. 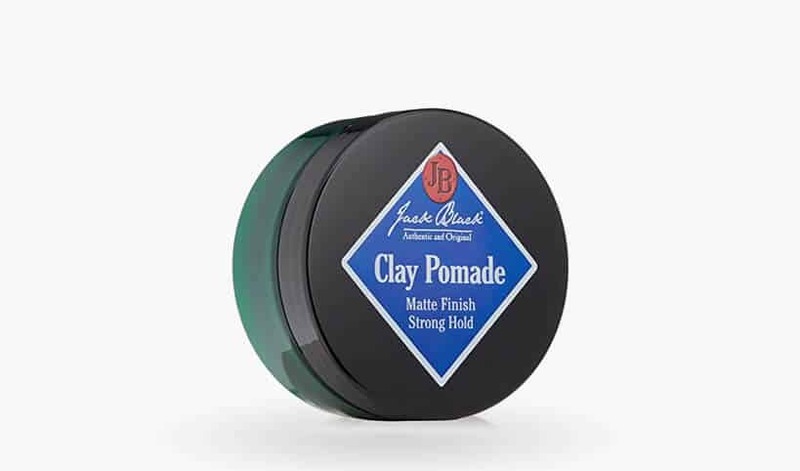 Jack Black’s Clay Pomade is not cheap, but it is one of the best clays for its neat styling and awesome hair health benefits.